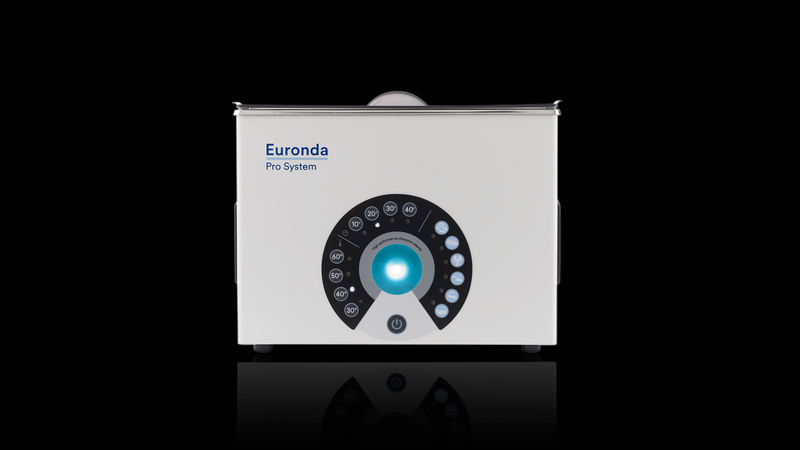 Eurosonic® 4D is the most advanced digital ultrasonic tank in the Euronda Pro System range. 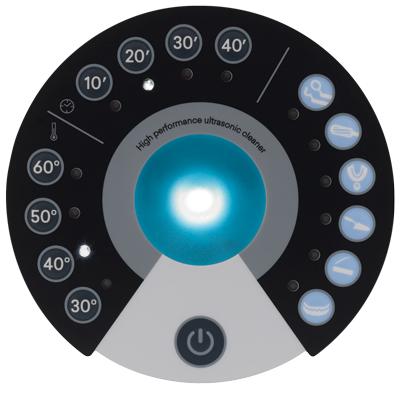 It has an LED backlit controller and it is intuitive and user-friendly thanks to the light signals associated with different cycles, times and temperatures. There are two operational modes, allowing users to choose one of the 6 preset cycles (instruments, burs, impression trays, cement removal, plaster removal, and prostheses) or run a free cycle at a temperature between 30°C and 60°C, with a duration between 10 and 40 minutes. There are 4 different operating stages in the 6 preset cycles: Degas, Boost, Normal and Sweep. 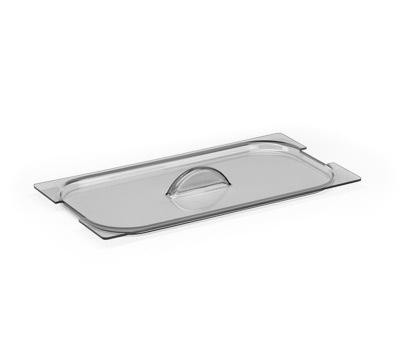 Eurosonic® 4D has a drain on the back and it comes with a tap and pipe, as well as side handles for easier movement. LED backlit controller and “luminous progress bar” for simple, intuitive use. Users can choose between 6 preset cycles with set times and temperatures, and free cycles with temperatures between 30°C and 60°C. Side handles facilitate movements; a tap on the back easies emptying. 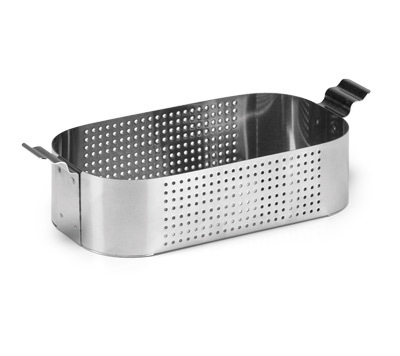 Steel body and anti-deformation cover, with non-drip system. .Degas mode: this mode is always the first one as it prepares the liquid for a better cleaning efficacy. .Boost mode: the boost mode is used to clean the instrumentation from coarse impurities. .Normal mode: the immersed instrumentation is micro-brushed and the use of enzymatic powders or detergents delivers a cleaning effect of the highest quality. 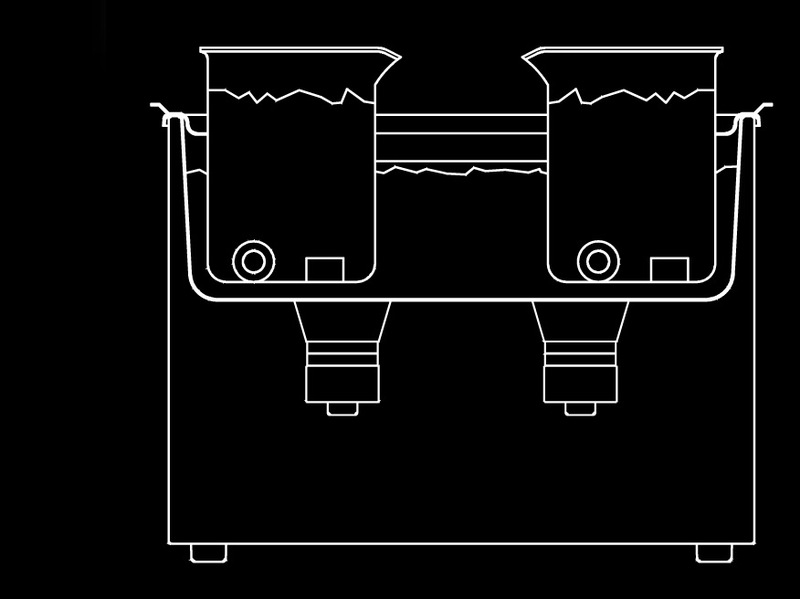 .Sweep mode: the frequency is made to swing around the base frequency, so that the waves propagate evenly throughout the tank, enhancing cavitation to the maximum and optimising cleaning. The core of Eurosonic® 4D is its backlit controller with an attractive graphical user interface that makes it really intuitive and user-friendly. The innovative light path provides information on the cleaning status by means of indicator lights, thereby indicating the operator at a glance, even if looking at them from a distance. 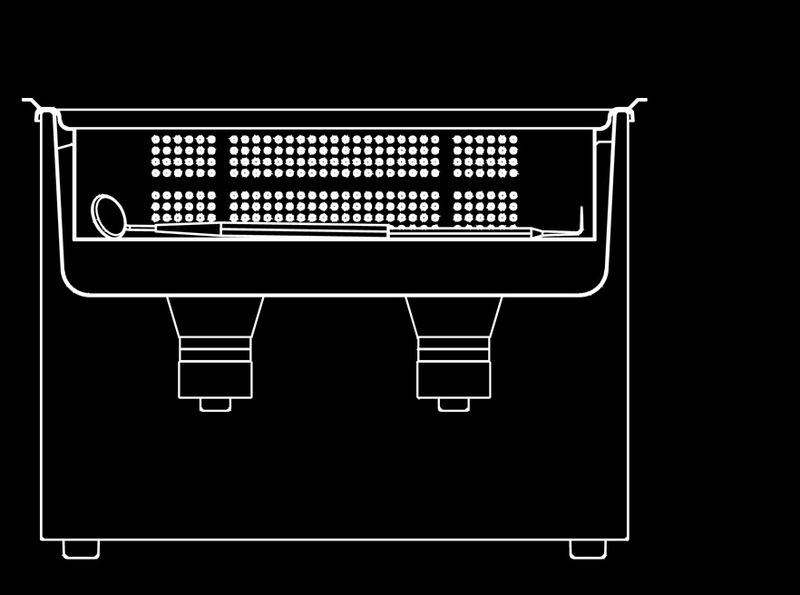 The cover is essential for the proper use of ultrasonic tanks. During operation, it protects the operator against aerosol exposure and splashing liquid, it stabilises the temperature of the liquid inside the tank, and allows the ultrasounds to reach and maintain the temperature more quickly, thereby saving time and energy. 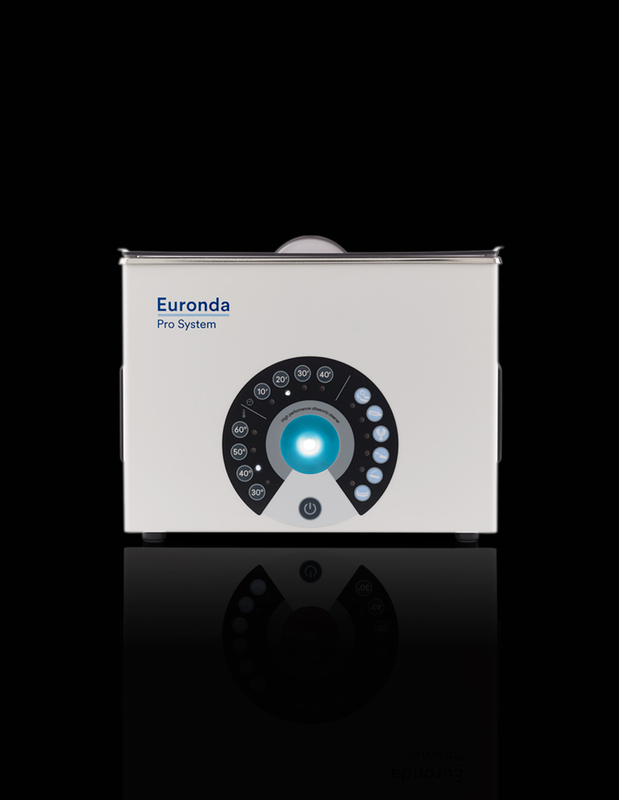 The new cover of euronda ultrasonic tanks is also sound absorbing, as it is made of a special type of plastic, which attenuates noise produced by the ultrasonic waves. Moreover, it is equipped with an anti-drip system, which prevents any contamination of the work area and protects the operator’s safety. The advantage of this method is that it is very simple and allows for a very effective cleaning action. 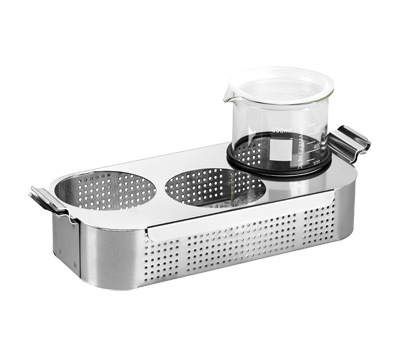 The cleaning solution must be poured into the tank (only one cleaning solution at a time) while the instruments must be either placed in the perforated basket or suspended. You can use the entire capacity of the tank, taking care to use the supplied cover to protect yourself from aerosol exposure. The dirt will build up at the bottom. This is particularly indicated for cleaning small instruments, such as milling machines or prostheses. 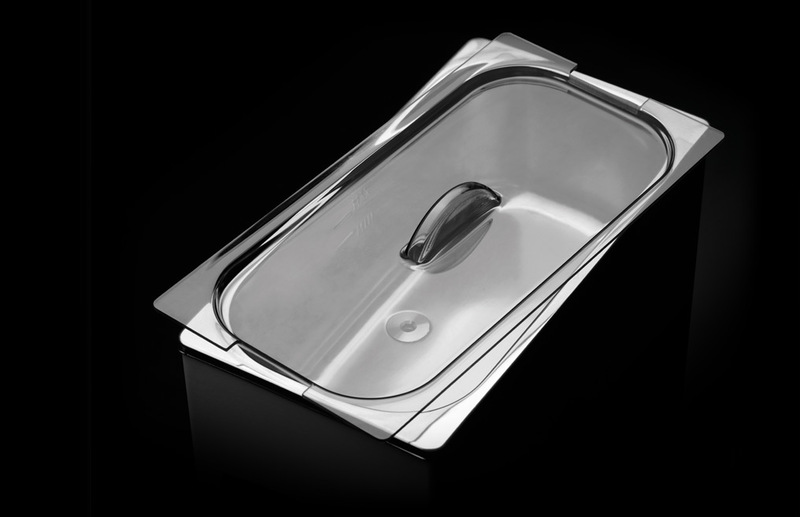 The tank is filled with water and a cleaning solution to enhance cavitation. 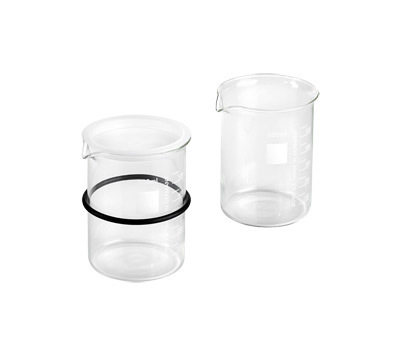 The beaker holder allows you to introduce different cleaning solutions into the beakers; this way you can clean even different types of instruments and choose the solution according to the type of residue to be removed. The dirt remains in the beaker. 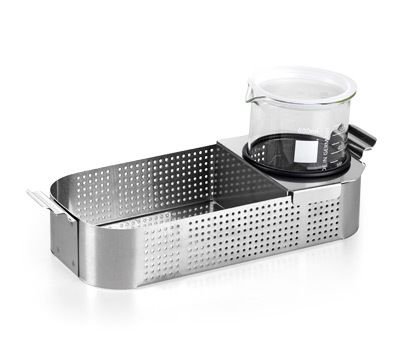 The beaker allows you to enhance the ultrasonic cleaning while the cover protects the operator against aerosol exposure. 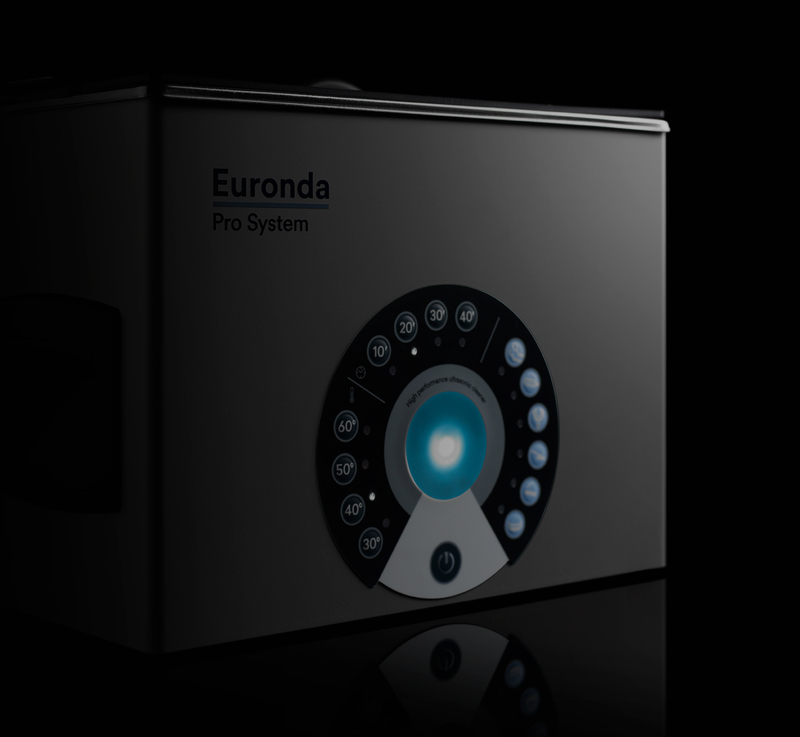 Want more about Euronda Eurosonic 4d?